Out of the ashes left by ISIS's battlefield defeats, a new al-Qaida branch is trying to stake a claim in Syria. Ansar Al Furqan Fi Bilad Al Sham announced its formation Oct. 9. Ansar Al Furqan's charter describes a Sunni Muslim jihadist group that contains uniting "Muhajreen," or immigrants, referring to foreign fighters and "Ansar," who are local Syrian jihadists. These are battle hardened terrorists who have been fighting since the early years of the Syrian civil war. As with their jihadist counterparts, Ansar Al Furqan wants to establish an Islamic Caliphate. 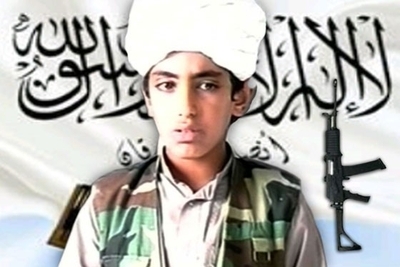 The new group is rumored to be led by Hamza bin Laden, Osama bin Laden's 28-year-old son. Al-Qaida released a tape by Hamza bin Laden Sept. 14 urging Syrian jihadists to stand their ground against the infidels. "So do not waver, nor grieve," he said. "... Weigh your affairs in the scales of the Hereafter, your difficulties will seem trivial to you." A week before Ansar Al Furqan's declaration, al-Qaida leader Ayman Al Zawahiri lashed out against Jabhat Al Nusra leaders in Syria for breaking off from al-Qaida and operating independently. Jabhat Al Nusra leader Abu Mohammed Al Golani announced in July 2016 that his group wanted to merge or ally with only local jihadist groups. Being linked to al-Qaida made the group a target for all the regional and international powers, Al Golani said. "As for us, we believe that the oath of allegiance is a Shari'i undertaking; binding in its nature, its violation forbidden. Our Lord says, 'O' you who believe, fulfill your pledges.' As for us, we shall fulfill our oath; we shall neither wear down nor give in," he said. Al Zawahiri's speech also aimed to restore al-Qaida's reputation as the leading jihadist group. Ansar Al Furqan's nine-page charter was published online. It vows to target infidels and their countries including Russia, the United States, Turkey, and Bashar al-Assad's Syrian regime. "Those who ally themselves with the non-believers and enemies of Allah from American and Russian or others then they will be judged similarly to them and they shall not be forgiven and only the sword will be their punishment," it said. The charter calls upon the pious to fight Shia Muslims and anyone supporting Americans or Russians, along with Arab leaders with nationalist or democratic agendas. "We denounce to Allah all the factions of heresy and blasphemy of the atheist, communist, democratic and modern political parties and those who ally themselves with the enemies of Allah from the Crusaders, Shia and other and we shall fight them on all fronts," the charter said. Fighting Arab leaders who are traditionally of Muslim faith (Lebanon's president is a Christian) is a priority in the charter, which calls them infidels who are allied with the West. It also calls on Muslims to answer the call for jihad with money and arms. In an attempt to appear more rational than ISIS, however, the al-Qaida affiliated Ansar Al Furqan refrained from labeling all Muslims who don't follow their path, or who oppose them, as infidels. Only the sinners among them should be punished according to sharia law's dictates. Bin Laden called upon warring jihadist groups to reunite under one banner to face Islam's common enemy. "The new world order is fighting you because you are attempting to establish a righteous caliphate, so don't obey them, you have to disobey the infidels and their allies," he said. "You should be proud that the United States and Russia consider you as their enemies." Ansar Al Furqan's charter was released a few weeks later, with its pledge of allegiance to al-Qaida. The link between the recording and the group's declaration cannot be ignored as Syria remains a very important to al-Qaida's plans. The bin Laden speech was called "The ordeal of al-Sham (Syria) is the ordeal of Islam," signifying that the group will spare no effort in attempting to turn the tide of war against Assad regime by trying to unite Syrian jihadists under one banner and attract more fighters. Multiple British media outlets have confirmed the younger bin Laden's presence in Syria. British Special Forces SAS dispatched 40 special forces fighters to hunt him down in Syria, the Daily Mail reported. British authorities believe that bin Laden's praise for "lone wolf" attacks in the speech poses a clear and present danger to national security. Britain has endured a series of such "lone wolf" attacks this year. However, Syrian Democratic Army Brigadier General Ahmed Al Hamadi, the spokesman of northern front, indicated that bin Laden's presence in Syria remains unconfirmed by his group. Al-Qaida's successor in Syria could become the region's next menace if it manages to reunite smaller terrorist groups and fleeing fighters from ISIS and Jabhat Al Nusra. That outcome requires the right leadership. Hamza bin Laden's status as the son of history's most notorious terrorist mastermind could help. The next few months may show whether the group is another failed terrorist startup, or one that can actually make an impact. Or, the Syrian army and an international coalition may put an end to those ambitions once and for all.